The most obvious reason is, of course, the current development involving around £15 billion investment in transforming barely used land into luxury apartments. Currently, there are around 10,000 households in the area, and the developments plan to create another 18,000. The work began in 2013 to regenerate the area and build shops, restaurants, leisure facilities, office space and – of course – residential buildings. While the residential buildings evidently provide new luxury homes, the building of shops, offices and leisure facilities also brings employment to the area, ensuring it will thrive. Expansion of the London Underground also provides better access to the area, so those with careers elsewhere can easily rent property to let in Nine Elms. 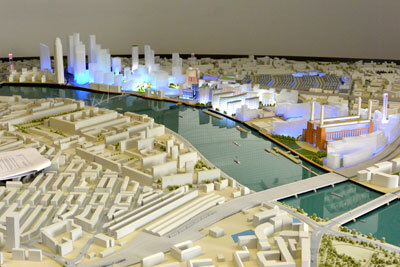 Property to let in Nine Elms is becoming more and more popular for other reasons too. The proximity to London’s centre is one reason – as it makes it easy to access jobs or attend events in the city centre. It’s riverside location also makes it popular as the stunning views and places to walk help create a relaxing environment that can be hard to find in London. The regeneration plans in the area are also improving this with plans to improve the riverside, a new linear park and other green spaces again helping create a sense of tranquillity otherwise lost in a busy city. Those who appreciate London’s vibrant culture may also find they benefit from property to let in Nine Elms as new attractions and art and leisure activities on offer aim to extend and strengthen existing culture in the area. Nine Elms on the South Bank will soon boast new iconic landmarks such as the new US Embassy (currently being built), joining existing landmarks such as the Battersea Power Station to attract tourists and Londoners alike. The US Embassy and the Embassy of the Netherlands’ relocation to the area will further strengthen the appeal of the area, especially with the planned Embassy Gardens. The Gardens will provide homes, shops, bars, restaurants and office space alongside playgrounds and sports pitches, bringing even more wealth and appeal to the area.